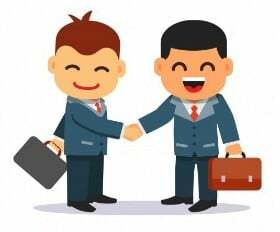 Negotiating a deal with a dealership can be a difficult task even when you are simply purchasing or financing your car, much less when you are negotiating a complex transaction like a lease. 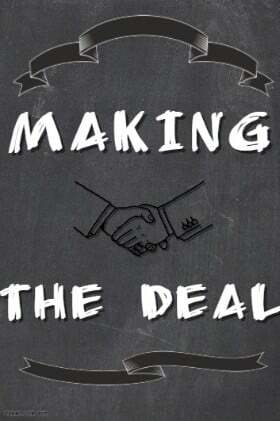 This section of the guide is designed to help you understand how lease deals are created, how you can negotiate to improve your lease deal, as well as the various options that you have after the lease deal is over. The next section will also cover some of the most common mistakes or easy-to-miss things with your lease deal in order to help you avoid them. 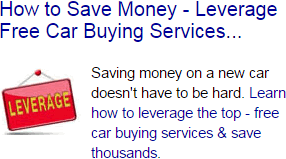 Usually, when auto deals are advertised, they are simply discounts off of the list price of the vehicle. With leasing, however, deals are often presented as a combination of a monthly payment and a down payment, without mentioning where those numbers come from. Some lease deals also represent straight discounts off of the car’s MSRP, but there are often also other factors in play that are the key to a good lease deal. Some lease specials come with a promotional money factor. This is similar to the promotional interest rates that are available when you finance a car. Because finance charges make up a larger portion of your monthly payment in a lease than they do when you finance a vehicle, getting a low money factor can be important. Unfortunately, this is one of the least transparent parts of the leasing deal. Sometimes, even the salesperson you are negotiating with will not know the money factor used to calculate the lease deal they are offering you. Luckily, you can find information on how to calculate the money factor used in your lease in the “Calculating the Lease Payment” section of this guide. The other important component of a good lease deal is a high residual value. While this is something that is set by the leasing company and based on third party information, cars with better lease deals also tend to be the ones with the best residual values. It is important to do research on the various residual values available among the cars and trim levels that you are interested in. Often, the residual value of a car can vary wildly between the base model and the high-end model, and not always in a predictable way. By knowing which vehicles offer good residual values, you can save yourself time by identifying the cars that you can get the best lease deals on. Finally, a lease deal or a promotional offer may reduce or eliminate some of the fees associated with the lease. Some leasing companies can waive acquisition or disposition fees as part of a promotional offer, while others may offer to waive your security deposit. Dealerships may also have cash-back offers from the leasing company for leasing certain models, and could be persuaded to pass those savings on to you as well. A good lease deal is one that combines some or all of those characteristics. In general, a good lease deal will be the one with a sizeable discount off of the car’s list price, a low money factor, high residual value and low fees. By doing your research and analyzing the deals available, it can be easy to identify and choose the best ones. Many people don’t know that you can negotiate the lease deal that a dealership offers. For car dealerships and auto manufacturers, this is an advantage, and so they don’t try too hard to correct the record. However, the truth is that lease deals are very negotiable, and there are several things you can do to improve the lease deal that you get. The most important work you can do to give you a leg up on negotiating a great lease deal is to do your research before you even arrive at the car dealership. Some aspects of the lease, such as some of the fees and local taxes, as well as the residual value of the car, are not set by the dealership, making them difficult or impossible to negotiate. However, coming into the negotiation knowing those values will help you keep the dealership honest when it comes to other aspects of the deal. The best way to make sure you are getting a good deal on your lease is to start negotiating it the same way that you would if you were financing or buying the car with cash: by negotiating the sale price of the vehicle. Outside of some lease- or finance-specific rebates or discounts from the manufacturer or the finance company, the dealership has exactly the same amount of negotiation room whether you are financing, leasing or buying the vehicle outright. Because of this, dealers prefer to negotiate leases based on the payment instead, since they can arrive at a payment you can agree to by manipulating the term or money factor instead, leaving them with all of the profits from the sale of the vehicle. By first negotiating with the dealership on the sale price, you can then focus on making sure that you are getting a good deal when it comes to the financing. The key values that determine your lease are the money factor and the residual value, which are both set by the leasing company. The residual value is based on third-party projections. It can’t be negotiated, but it does differ depending on your chosen lease term and mileage limit. Generally, the shorter the length of the lease and the less miles per year you are planning on driving, the higher the residual value will be. However, a shorter term does not always mean a lower payment, since cars depreciate faster the newer they are. The money factor is also set by the leasing company, and depends somewhat on your credit score. Unlike the residual value, however, it can sometimes be negotiable. Many leasing companies give dealerships a kickback if they sell you a lease with a money factor that is a few points above the lowest rate that you qualify for. Before you go in to negotiate your final lease, it can be a good idea to research what kind of money factors others who have leased this vehicle have gotten. If the one that the dealer offers you seems high, it may be possible to negotiate it down a bit. 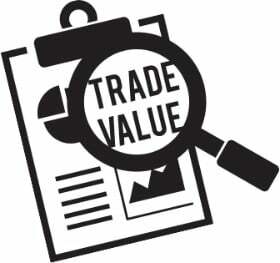 You should also be sure that, if you have a trade-in vehicle, you know its market value. There are many different websites and services that can give you a good estimate of what your car is worth both when traded to a dealer and sold on the private market. Making sure that you get the full value that your current car is worth is just as important in a lease as when you finance or buy a new car, and the same principles apply. Come in with a reasonable number in mind and don’t let the salesperson undervalue it. If you do not feel that you are getting a good trade-in value, simply let the dealership know that you will delay leasing the new car until you find a private buyer for your current car. This will often lead to the salesperson making a much more reasonable counter-offer. The final bit involved in the negotiation are the various fees and drive-off costs. Some of those, such as registration fees and taxes, are non-negotiable. The leasing company fees, such as the acquisition fee, the disposition fee and the security deposit, could be waived or reduced, depending on the leasing company, your credit score and potentially, based on how badly the dealership wants to earn your business. You are not guaranteed to be able to negotiate those fees down, but it is always worth asking about as you are working to finalize the deal. If you are at the dealership on a relatively slow time, such as a weekday afternoon, or it is the end of the month and the salesperson is trying to meet their sales goals, they might be able to pull some strings to get the deal done. Most leasing deals can be negotiated. However, there is a subset of lease deals that simply can’t be negotiated. These are usually specific manufacturer-advertised deals that are designed to boost the manufacturer’s lease numbers. They are usually only available on a very limited selection of models and are sold at a significant loss. In these cases, the manufacturer actually pays dealerships in exchange for them selling the cars below their cost, and may even have a special low money factor from their captive leasing company that is exclusive to the deal. On those vehicles, it is simply impossible to negotiate a deal that is better than advertised. An easy way to tell if you are looking at a manufacturer-subsidized lease is if you get the same exact offer from several different dealerships, or come across it being advertised directly by the automaker. After you have worked out your lease deal with your salesperson, you may then be directed to meet with the dealership’s finance and insurance manager. If possible, you should try to avoid this. One way to do that is to ask your salesperson to deliver the car to you in person at home or your workplace with the final paperwork. Some dealers, however, may insist that you finalize the deal with the F&I manager. These dealership employees are usually the designated lender contacts at the dealership and are trained in contracts, but their real job is to try to sell you additional services for your lease, such as maintenance contracts or extra protective coatings. All the products that you will be offered are generally heavily marked up, and are intended to make extra profit for the dealership. They are almost always available from other sources or providers for a much lower cost. Before you finally sign your lease, make sure to review all of the numbers using the calculation methods in the earlier chapter in order to be certain that all of the figures, such as the car sale price and the money factor match the ones you’ve negotiated. Contrary to popular belief, there is no “cool off” period for car sales. Once you’ve signed the lease deal, you are bound by it for the entire duration! That is why it is so important to give the contract a final once-over before signing on the dotted line. If everything is in order, then the hard work is over and it is time to enjoy your new car! There are several very important aspects of your lease contract that you simply can’t forget to ask the dealership about before signing the deal. These are important things to know before you drive off, and can significantly affect your leasing experience throughout its entire duration. One important thing that many buyers forget to ask are the various fees associated with the lease. While most leases will involve some kind of acquisition or bank fee, you could be liable for a number of other fees well after you leave the dealership in your new car. The most common is the disposition fee, that you have to pay when you return your car to the dealership. Some leasing companies do not charge this fee, or can waive it in exchange for a bigger security deposit. Another common fee that drivers do not expect is the early termination fee. If you, for some reason, need to sell your vehicle or are in an accident where the car is declared a total loss, the leasing company could assess you an early termination fee. Before you sign your lease, it is important to know if you could be charged for these or other incidental fees, as well as if it is possible to avoid them and how. As you are expected to keep your leased car up to date on maintenance, it is important to know about the various service intervals. Most cars come with a manual with a schedule listing how often you should rotate your tires, change your oil and perform other standard maintenance. Some dealerships may also offer you their own version of the schedule, sometimes bundled with coupons or discounts for doing all of the services at the dealerships. In addition to making sure you know when to service your car, you should also see if the terms of the lease require you to perform the services at the dealership. If not, you might be able to get the maintenance done elsewhere for less, or even do it yourself if you are mechanically inclined. Another common thing that many lessees forget to ask about is insurance. Leasing companies can often have very different insurance requirements from each other, and change them over time. Make sure to review the insurance that your lease requires and see how it compares to your current coverage. After you are in an accident is not a good time to find out that you’ve been violating your lease agreement by having insufficient insurance. Though it is one of the required pieces of information on every leasing agreement, it can be easy to forget to ask about the mileage charges. In general, you should plan to get a lease for slightly more miles than you expect to drive every year, but it is also beneficial to know how much you can be charged for each additional mile that you are over. It could make the decision whether to take that road trip near the end of the lease much easier. We’ve already mentioned how important it is to know whether the leasing company will charge you an early termination fee, but it is also good to check on the proper procedure when you are in an accident. Since the leasing company is technically the owner of the car for the duration of the lease, they may also ask you to submit copies of the accident report or the decision from your insurance company for their records, or otherwise take extra steps after an accident. The last thing that you want to be sure of before you sign your lease is the warranty coverage. In general, it is a bad idea to lease your car for much longer than the length of the warranty. For most manufacturers, that is three years or 36,000 miles, though some makes come with warranties as long as five years. It is important not to confuse the new car warranty with the powertrain warranty. While the latter is often significantly longer, it only covers the engine and the transmission of the car. The new car warranty, also called the limited warranty, covers practically all non-cosmetic parts of the car. Knowing how long each lasts will help you make sure that you are leasing for the right length of time.